Walt Disney World and Disneyland raised ticket prices on Sunday. A one-day ticket to Disney World during the busiest time of year now costs $129, a $5 price increase. Some Disney fans say that it is becoming too expensive to visit the parks. Walt Disney World and Disneyland just quietly increased how much it costs to visit the parks. A regular, one-day ticket to Disney World's Magic Kingdom now costs $119, a $4 increase, the Associated Press reported Sunday. The cost of "value" tickets, sold during less crowded times of year, increased by $2 to $109 for adults. Peak ticket prices, for the busiest times of year, now cost $129 for adults, a $5 increase. 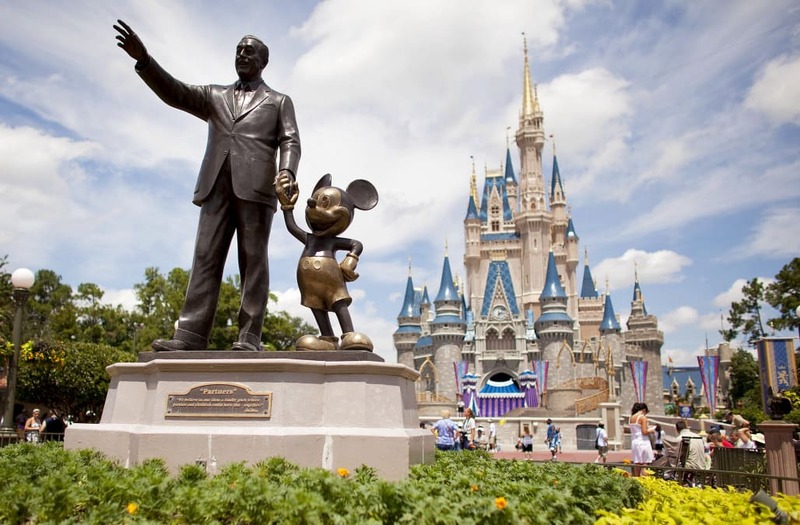 Disney also significantly increased how much Florida residents pay for annual passes. The premium Platinum pass now costs Floridians $729, up from $679. Many Disney fans had already braced themselves for the price hike. Disney World and Disneyland have announced ticket price every February over the last several years. But some people say that the latest price hike has contributed to making it too expensive for the average family to visit Disney's theme parks. As a longtime Disney family, I don’t like the price tag attached. It speaks to privilege! For families that save to come to Disney for the magical escape from reality it is a slap back into the haves and the have not‘s. Disney is should be magical for everyone equally! "People will need to start selling their kidneys on the black market to be able to afford a day at Disney," one person wrote on Twitter. "Pathetic." So with this latest increase in WDW AP prices, it makes it so it’s not worth it to renew my pass. And honestly, I’m ok with that. It’s apparent I’m no longer the demographic Disney wants or values. The price changes seem to be part of Disney's plan to get people to visit the parks for as many days as possible. Tickets are cheaper if customers buy multi-day passes, dropping to $44.50 per day for adults getting a 10-day pass. Last week, Disney reported that its parks and resorts generated $5.2 billion in the most recent quarter, an increase of 13%. Attendance grew 6% in the same period.